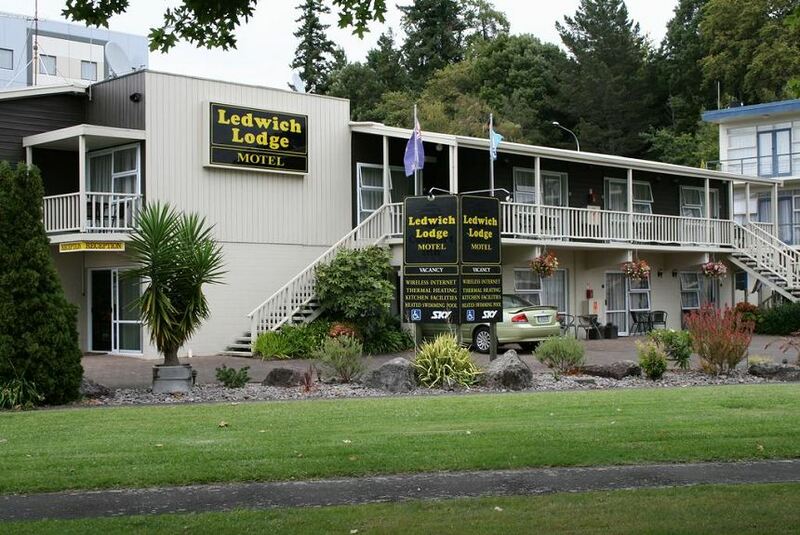 Ledwich Lodge is ideally situated in a quiet location at the lakefront directly in front of the Novotel and Ibis hotels in the central business district within walking distance of the Government Gardens and Lake Rotorua. A short 3min walk to the newly reopened Tutanekai "Eat Street" restaurant area and in close proximity to the Convention Centre, Energy Events Centre, Rotorua and Queen Elizabeth Hospitals. Secure mountain bike storage and gear drying facility available.